Who doesn’t like some love songs on Valentines Day? Well, there is something pretty cool about getting paid to sing love songs to my wife any day of the year, but on February 14th it’s quite the gig. 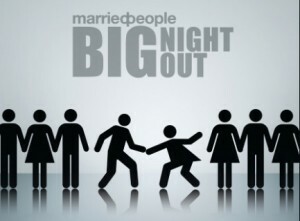 When Mountian Valley Church called and asked if we would like to be a part of their Valentines BIG NIGHT OUT event, it was a no-brainer. The event was geared to encourage couples in their marriages and relationships. An added bonus was that both my lovely wife, Pam and my son, Kieran got to play in the band. A couple other players from the church rounded out the band and they did a terrific job. We kind of got to be the ‘house band’ and play some fun romantic songs and background music to add to the vibe of the evening.